Mrs. Davis has a Bachelor’s of Science in Special Education from ETSU and a Master's in Education from Union College. 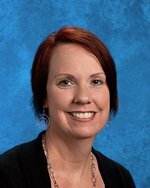 Mrs. Davis has 15 yrs of experience in teaching, 14 of which are from CHS. She also taught one year at Surgoinsville Middle School.